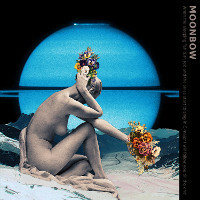 This is the debut album by a European septet Moonbow consisting of musicians based in Copenhagen. It includes Polish saxophonist Maciej Kądziela and bassist Tomo Jacobson, Norwegian saxophonist Danielle Dahl, Danish saxophonist Mads Egetoft and drummer Kresten Osgood, German pianist Lucas Leidinger and Swedish guitarist Anton Jansson. The album presents six original compositions, all by Jacobson. The album's artwork also presents a poem written by the legendary American Improvised Music giant William Parker, who wrote it in response to the music. The music, mostly freely improvised, displays the infinite possibilities of a large ensemble, which allows encounters which range from solo performances to the entire septet involved in group improvisation. It is very engaging and fascinating, bold and free-spirited, but at the same time completely coherent. The melodic themes are briefly stated and later disappear into the subconscious plane beneath the improvisations. In spite of the incredible power of a large ensemble, the music is completely devoid of conflict and wonderfully illustrates the concept of collective improvisation, based on mutual respect and almost telepathic communication between the players. There are many superb individual statements by the musicians involved, but the collective result is definitely more that just a sum of its ingredients. Although the album is relatively short (under forty minutes), it is full of emotion and tonal beauty, which should be highly appreciated by fans of Improvised Music. Hopefully this ensemble will make another album, as they surely have much more to say musically. Well done!